Rafferty (Scalia) is a U.S. Secret Service agent. When evil aliens from another planet assassinate the Senator he was assigned to protect, he gets deeper into a governmental conspiracy than he ever dared to before. Evidently, the Senator knew too much about alien technology that is being negotiated and sold to Earth, the main proponent of which is General Greenboro (Williams III). Sinister Men In Black are making sure their investment isn’t compromised, and they’ll go to any means necessary to ensure that. When Comdor (Christopher) comes to Earth from the Pleiades, he ends up teaming up with Rafferty to fight the evil Marcabians. But the important thing to note is that what follows is an almost non-stop barrage of action scenes that aim to please the viewer. Just who are THE SILENCERS? Find out today! PM turns in yet another winner with The Silencers, a completely fun outing that delivers the goods. Probably figuring that their classic action formula was getting a bit repetitive (though if they kept up with it, that certainly would have been cool with us), the PM crew decided to keep the shootouts, stunts, fights, blow-ups, and car flips that they are renowned for, but give it a sci-fi twist. They were obviously influenced by the big-budget Hollywood hits of the day – there’s even a full-fledged, unapologetic Stargate in this movie for God’s sake – but it must be said that they predated Men In Black (1997) by one year. We’re constantly saying how the world of lower-budget, independent filmmaking is at the forefront with their ideas because they have to be. Hollywood always lags behind, and here is no exception. But here the MIB’s are evil baddies. It’s almost like the government stepped in and told Hollywood to whitewash the image of Men In Black and make them likable and cuddly like Will Smith and Tommy Lee Jones. Now why would they want to do that? (Hey, watching The Silencers made it fun to put on our tinfoil hats for a while). Seeing as how The X-Files was one of the hottest shows on TV at the time, PM decided they wanted to get in on that action. We’re not sure which movie came first in their production schedule, but that same year’s Dark Breed (1996) – another sci-fi/action hybrid starring Jack Scalia – was also released. However, The Silencers features Scalia at his absolute best. He bellows “Nooooooooo!!! !” with the best of ‘em (not once, but twice), tells his compatriots that “we’ve got company!”, gets into gunfights with aliens, befriends other aliens, and also is a caring father torn by the demands of his job. He’s usually in motion – sliding, running, driving, being pulled up a chain, or otherwise in the midst of other physically-demanding events. He also makes funny noises when he’s under pressure. He’s a great everyman action star. So, it’s perfect he’d be teamed up with Comdor. They’re the original odd couple! Not since Jay Leno and Pat Morita were, and we quote, “as different as hot dogs and sushi”, has a law enforcement duo this different come along. It must be said Dennis Christopher does a great job as Comdor. He’s playful and childlike, yet wise. Almost like an extraterrestrial Teddy Ruxpin. Rafferty and Comdor are both likable in their own way and they make a winning team. You gotta love it. 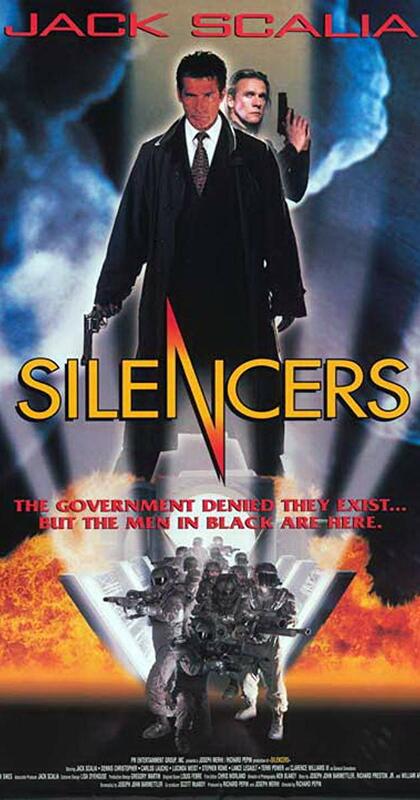 So if you love that action/sci-fi style – and The Silencers is seemingly influenced by everything from The Terminator (1984), to Peacemaker (1990), to I Come In Peace (1990) (that phrase is even said in the movie, as if the comparisons weren’t obvious enough) – this is a great example of action mixed with sci-fi at its best. And not that it needs to be said again, but here goes: our hats go off to the utterly amazing stunt and pyrotechnic teams that put together the fantastic stuff we see on screen. In the good old days of pre-green screen and pre-CGI, actual people had to create actual destruction. It’s very impressive. We never fail to marvel at not just the work involved, but the final payoff when the cameras roll. 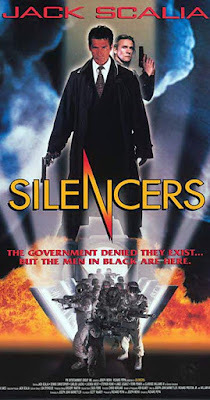 For a totally entertaining night of VHS fun, do check out The Silencers! Frank Valera (Banderas) is a hotshot defense attorney who has made a great living from putting criminals back out on to the streets. One night he gets so wrapped up in his work, he misses his daughter’s talent show, so his wife goes without him. By the time Valera gets there, however, he finds out tragedy has befallen him – his beloved wife and daughter have been murdered. After trying to ease the pain with alcohol, he realizes his “form of penance” can only be one thing – getting involved in underground Punchfighting matches, of course. But because he was a slick-talking lawyer his whole life, he doesn’t know how to fight. He just lets meatheads beat him up for a while as a form of physical and psychological punishment. After the police chief, Lustiger (Schaech), and Officer Strode (Urban) both tell him the case of his wife’s killer has gone cold, he then decides to turn his garage into a gym, work out relentlessly, and take Martial Arts classes. After some baddies beat him up one day, he ends up sopping up his blood with a book of Marcus Aurelius quotes. Valera notes that he was one of the original Stoics, so he decides to become a stoic himself, refusing to talk until he enacts his ACTS OF VENGEANCE. When he stops talking, he gets a form of super-hearing. With the help of Alma (Vega), a friendly nurse, will he fulfill his mission? Or will he stay mute forever? 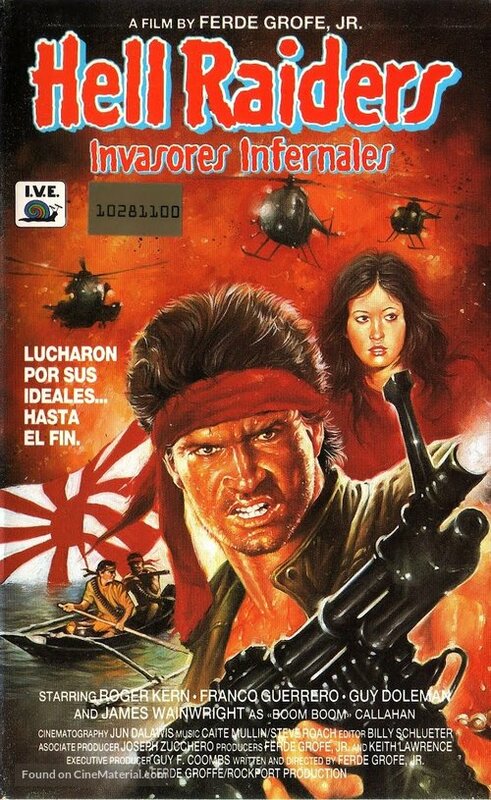 Finally, Antonio Banderas has a movie appropriate to be reviewed here on Comeuppance. And he teamed up with Isaac Florentine, no less. 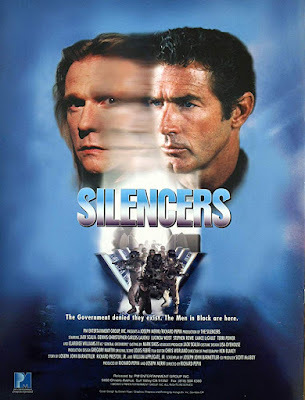 Banderas probably saw what was going on with the whole so-called “Geri-action” trend with the likes of Liam Neeson, Sean Penn, perhaps Bruce Willis, and others. So he must have figured that if he ever was going to get in on that action (no pun intended), and show the world he is a viable action star and not simply someone who is getting older, now must be the time. Thankfully, Banderas acquits himself well and does indeed show he can fight, and he executes his moves on the baddies with the best of them. 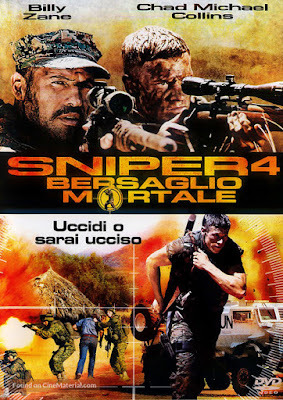 We liked the whole concept of the Stoic (though the idea of a largely non-verbal hero can be traced back at least to Clint Eastwood’s Italian Westerns), but luckily for the audience, Banderas does indeed speak for about the first half of the movie, and he also narrates the whole thing, so we’re never deprived of his inimitable voice. It’s about time Puss In Boots started punching, kicking, choking, and breaking the arms and legs of his opponents. The great Robert Forster has exactly one scene in the movie, but it is a good one. We liked what he said to Banderas in the scene, and it’s important to the plot, but we really wish he had more to do here. 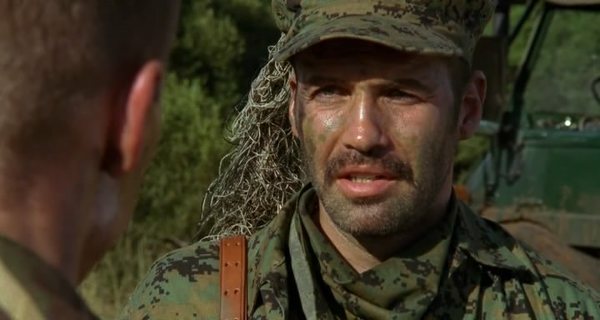 Plus, the whole film has that made-in-Bulgaria look that all modern-day action films seem to have now. The dead giveaway is the stagey, artificial outdoor art direction, with signs that look too clean, and sets that look like a Bulgarian backlot. We also feel that the title Acts of Vengeance is somewhat of a misnomer, and they should have gone with the original working title of Stoic. If they did that, it would have made more sense plotwise, and it would have set it apart from other films of this ilk (of which there are plenty). 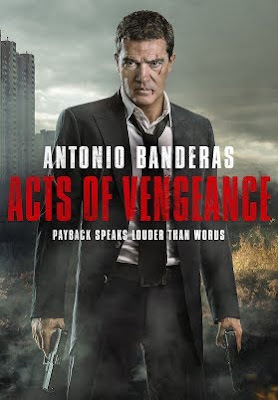 So while we appreciated Banderas doing his Martial Arts moves on the bad guys, and the movie is not bad overall, we feel that it’s not one of Florentine’s stronger showings. The combination of Banderas and Florentine should have produced something grittier, tougher, and with more actual acts of vengeance. But as it stands, it’s a pretty enjoyable one-time watch. 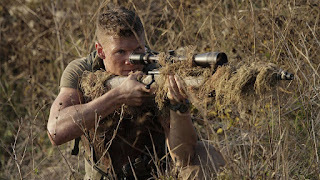 The Sniper series returns after Sniper 3 (2004), and following this seven-year break, it is indeed “reloaded” for the modern-day DTV generation. That’s exemplified by first-person-shooter-style shots on the guns that make it seem like they attached a Go Pro camera to them. Call us old fashioned, but we miss the 90’s style “bullet time” effects employed in the golden age. To be fair, something like that is also attempted here. We won’t use the term (as we have many times before) Africa Slog to describe this movie, but it teeters dangerously close at times. The main reason for that is that we, as the audience, don’t know who the villain even is until the movie is almost over. The baddie should have been more clearly defined – or defined at all -throughout the bulk of the film. It doesn’t help that new Beckett Chad Michael Collins is a bland, featureless hero that the audience never really warms to. Of course, there’s plenty of shooting on display, and a lot of military jargon is thrown around. There seems to have been an attempt to make things quite serious-minded and the result is that there are many more dour moments than there should be. The level of audience engagement goes up and down but mostly stays down. The female lead was firmly in the Sienna Miller/Naomi Watts/Nicole Kidman camp, and why she would be interested in the charmless lunkhead that is Beckett remains unexplained. Of course, we were on Billy Zane watch. Just like we are in our everyday lives. He doesn’t show up until 40 minutes into the movie, but when he finally does arrive, things perk up a bit. There’s no question that he enlivens the proceedings. We’re not entirely down on this movie – as we said, things fluctuate between the duller moments and some genuinely cool scenes. We won’t spoil them for you, but they’re certainly there. 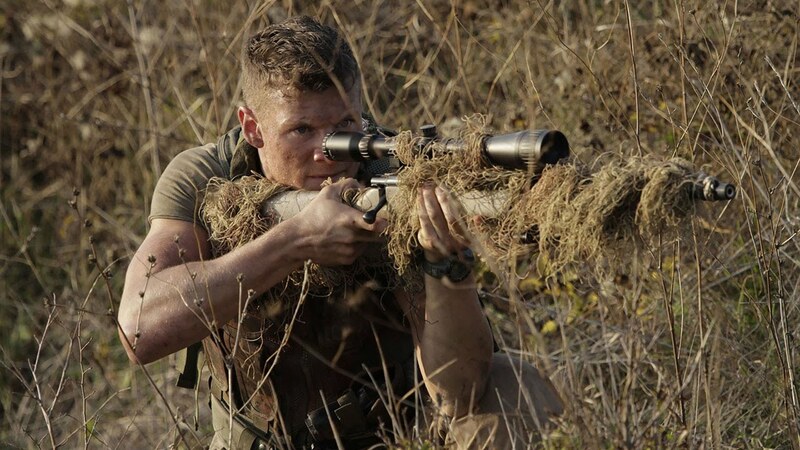 Somewhat ironically for a Sniper movie, things are hit or miss. 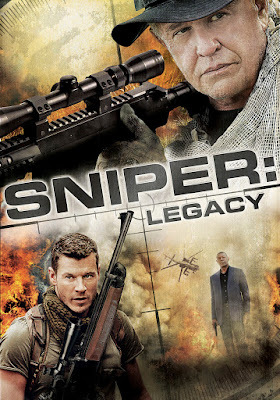 Featuring the song “Tear It Up” by a band called White Demons (which only appears during the end credits but should have been in the movie itself to provide some energy), Sniper: Reloaded is something of a mixed bag but seems to err on the more run-of-the-mill side of things. There’s some microfilm that everyone is after. Professor Arlington (Monty) has it, and to keep it extra safe and secure, he gets surgery so that it is implanted deep in his arm. We’re told via an on-screen title card that this happened in MIAMI, 1980. Shortly thereafter, we see another on-screen title that reads FEW YEARS LATER. Arlington is at a party wearing nothing but a Speedo. 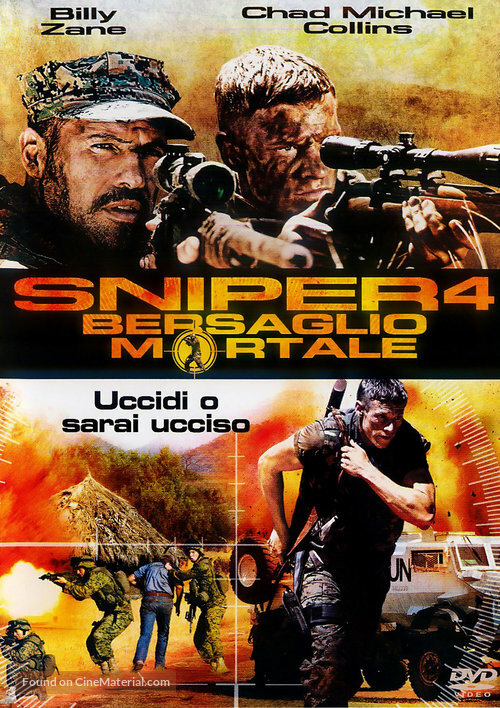 Armed terrorists, led by Charles Barner (Marius), crash the party and kidnap Arlington and his wife Liza (Liza Hutton). Of course, yet another evil baddie, Escaler (Hahn), is also after the microfilm. We’ve got a winner on our hands with Heroes For Hire (AKA Hell Raiders), a fun and absurd romp that sports some really outstanding moments. There are five John Lloyd movies, and of the ones we’ve seen to date, so far this ranks as the best. It has an extremely high kill count mixed with the silly moments we all love and enjoy. It features most of the Philippines-shot action movie mainstays such as Mike Monty (looking especially like Bryan Cranston here), Nick Nicholson (in a tiny part as Berenkov), and Jim Gaines, also in a cameo role, seemingly only placed with Bruce Baron on a boat to further reinforce – as if it were necessary – the Crockett & Tubbs vibe. It truly was the era of Miami Vice – absurdly, the movie even takes place in Miami – and McPearson (or is it Bruce Baron?) truly Crocketts it up with his sports jackets with the rolled-up sleeves worn with a T-shirt, and topped off with Ray-Bans, which he consistently wears indoors just to show how cool he is. Even in the less Crockett-esque moments, Baron more than shows that he’s a crafty, resourceful, and capable hero. The movie really takes off at the midway point, at the introductions of Magnum, Cactus, and Ninja, which in itself is a highlight. That being said, we wish more thought had been given to the name of Ninja, but perhaps that’s all part of the charm. Once the Heroes For Hire assemble, it’s truly a joy to watch what ensues. We don’t want to give anything away, but let’s just say a lot of people die, McPearson’s boss has the prerequisite framed Reagan photo on his desk, we’re informed that Barner was formerly in Vietnam, and there’s a hilariously truncated chainsaw fight. Also Arlington’s wife calls him both Fred and/or Ted at various different points throughout the film. We noticed that a man named Lincoln Abraham played a helicopter pilot in the movie, and also was the still photographer behind the scenes. He was probably included solely for his name, which looks like a typo. There are also crew members named Larry Byrd and George Will. Are these real people, or Filipino locals using anglicized names? We may never know. 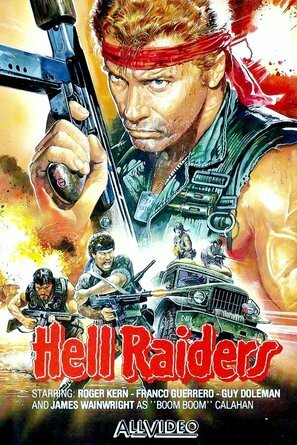 The important thing to remember is that you will have a lot of fun watching Hell Raiders. Final thoughts: Heroes For Hire is one of the better non-Vietnam-based, Philippines-shot low-budget actioners we’ve seen in some time. As of this writing, it’s on Amazon Prime and we say check it out.